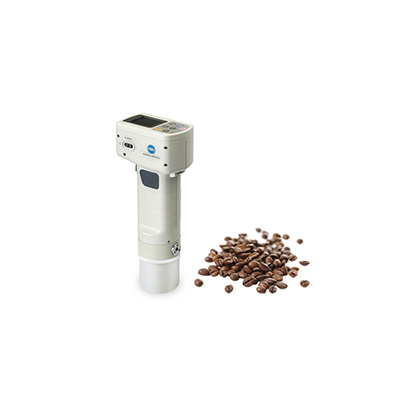 The CR‐410C is a portable instrument specifically designed to measure the color of coffee beans at all stages of the production process. 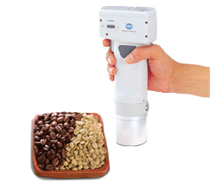 A The colorimeter is used to measure coffee bean color so that you don’t have to use a bulky and expensive instrument. It also is more accurate than trying to assess coffee bean color visually. The CR-410C is an affordable and portable option. The CR-410C uses the SCAA specialty coffee index to calculate the color, roasted level (light, medium, medium-dark, dark), the difference from a standard, and pass/fail information. Additionally, it includes our Food Color Indexing Technology (FCIT).